Founded in 1972, Tri-City Drywall is one of the oldest and most reliable drywall contractors in Colorado Springs. In residential construction, our services range from small repairs and patches to large custom homes with ornate details and textures. We've built relationships with the Springs' most respected custom home builders, as well as large companies that build across the country. 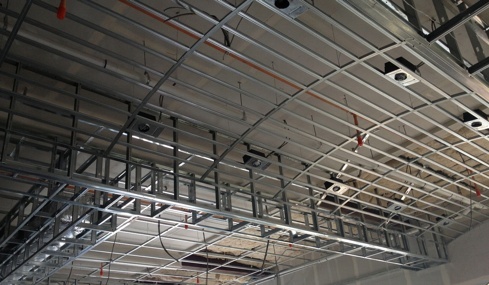 In commercial construction, we're known for steel-stud framing and grid ceilings, in addition to drywall. Our work can be found in the offices of defense contractors, hospitals and other medical facilities, churches, warehouses, the Colorado Springs Airport, and major Springs landmarks like the Broadmoor Hotel.